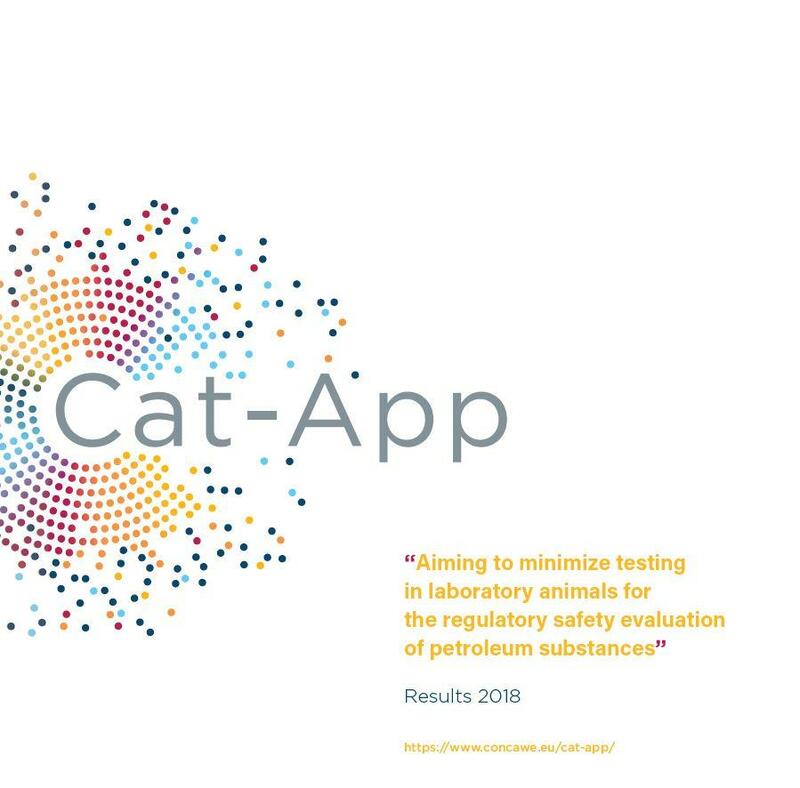 Cat-App was initiated with the aim to minimize the need for testing in vertebrate animals under regulatory programmes. This is achieved by grouping petroleum substances (PS) to make most optimal use of the toxicological information on PS by read-across of the available data within and (where needed and justified) between these groups. A framework will be developed for grouping based on chemical-biological properties combining multiple streams of information comprising PS production type/refining process, physicalchemical properties, chemical analytical profiles, existing (eco-) toxicological data and a comprehensive array of biological responses in a broad spectrum of in vitro systems. A new approach to evaluating the toxicological effects of petroleum substances by making use of existing test data aims to reduce, and eventually eliminate, the use of animals for toxicity testing. Comparative assessment of potential human health impacts is a critical step in evaluating both chemical alternatives and existing products on the market. Most alternatives assessments are conducted on a chemical-by-chemical basis and it is seldom acknowledged that humans are exposed to complex products, not individual substances.